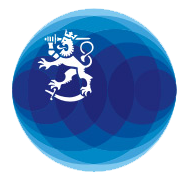 Finland has outsourced collection of the biometric data required for the work and student residence permit applications to VFS Global. It is mandatory to schedule an appointment, which can be done through the appointment scheduling service available at residencepermits.finland.fi. The Consulates General in New York and Los Angeles accept also other residence permit applications in addition to work and student residence permits. An appointment for such application will need to be scheduled through our electronic appointment scheduling service.